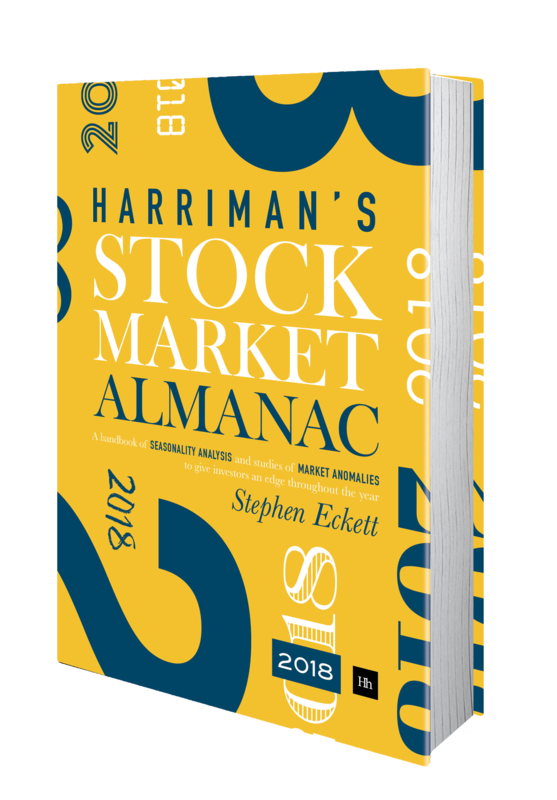 Tomorrow will be the last trading day (LTD) of March. 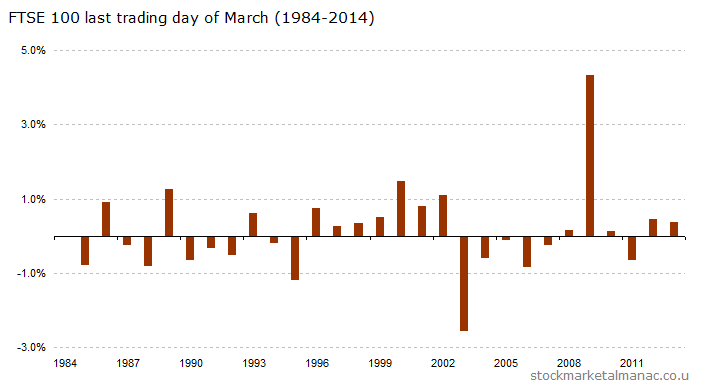 Since 1984 the market has on average risen 0.11% on the LTD of March, with positive returns in just 50% of all years, which makes it the sixth strongest LTD of any month in the year. 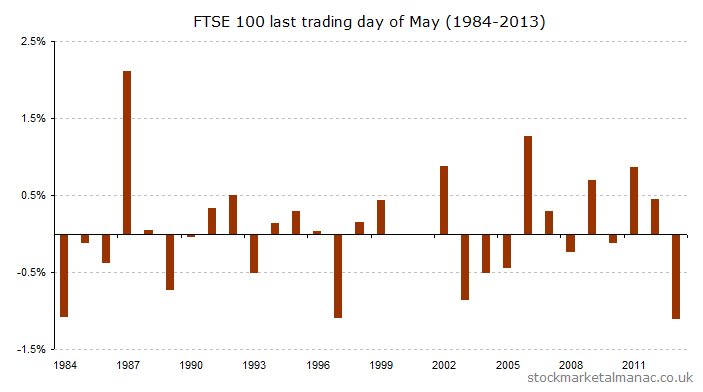 The following chart shows the FTSE 100 Index returns for every March LTD since 1984. 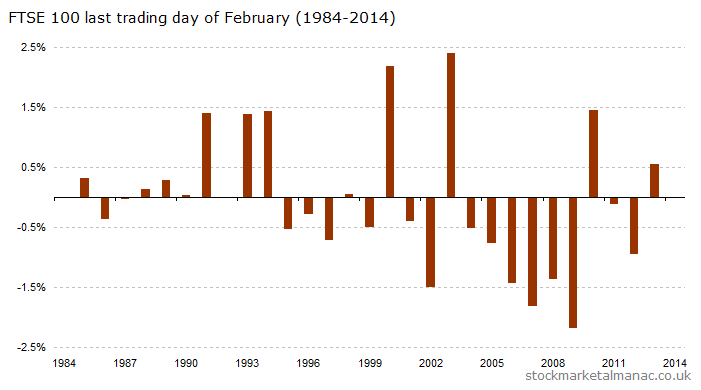 Tomorrow will be the last trading day (LTD) of February. 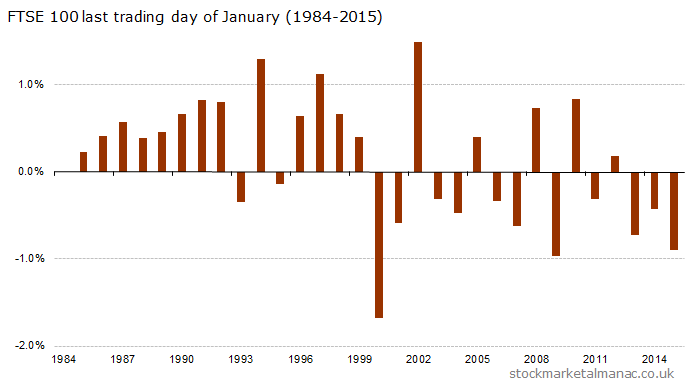 Since 1984 the market has on average fallen 0.06% on the LTD of February, with positive returns in just 43% of all years, which makes it the third weakest LTD of any month in the year. 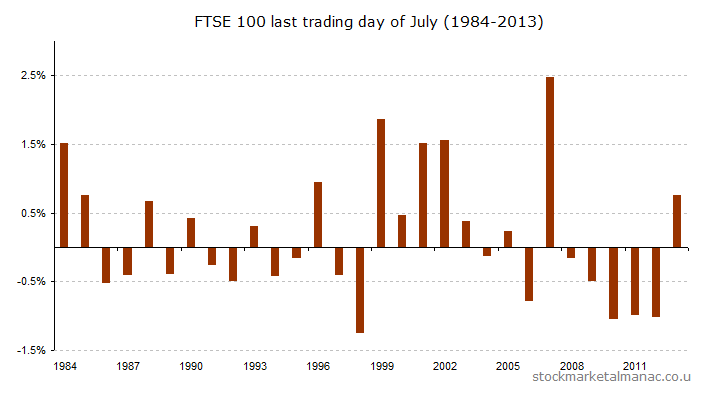 The following chart shows the FTSE 100 Index returns for every February LTD since 1984. 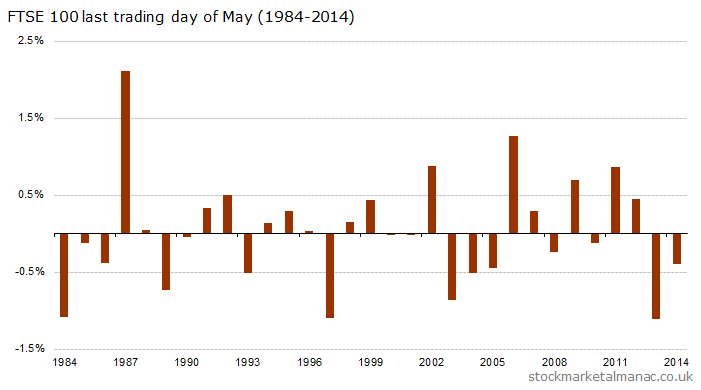 The LTDs of months used to be stronger than average, but in recent years they have been weak. 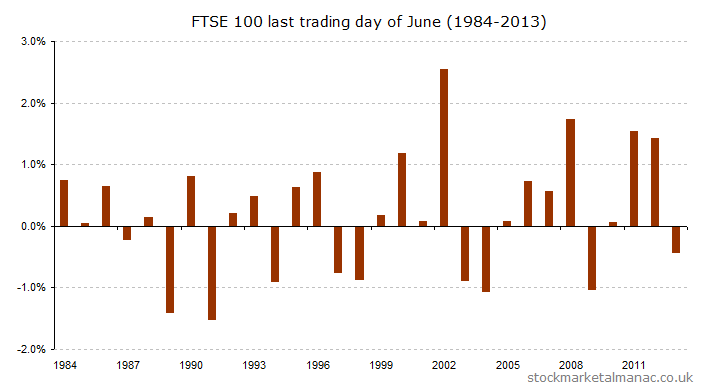 This is quite different from the first trading days of months which strongly out-perform the average for all days, and where the effect has strengthened in recent years. 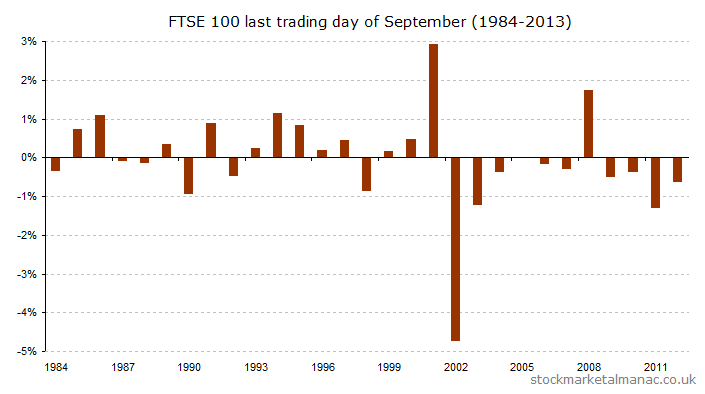 Since 1984 the market has on average risen 0.47% on the LTD of October, with positive returns in 70% of all years, which makes it easily the strongest LTD of any month in the year. 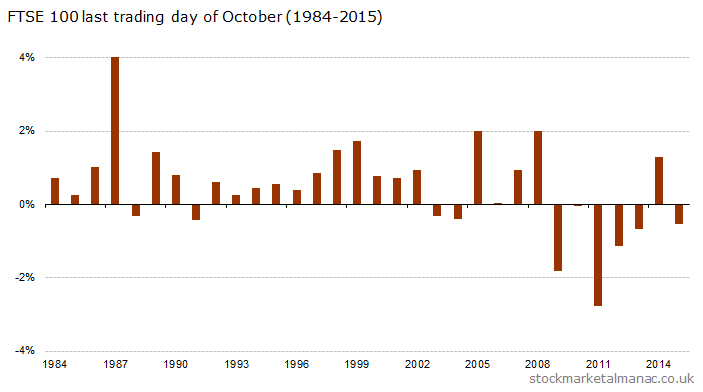 However, as can be seen in the chart, the behaviour of the October LTD has changed markedly over time. 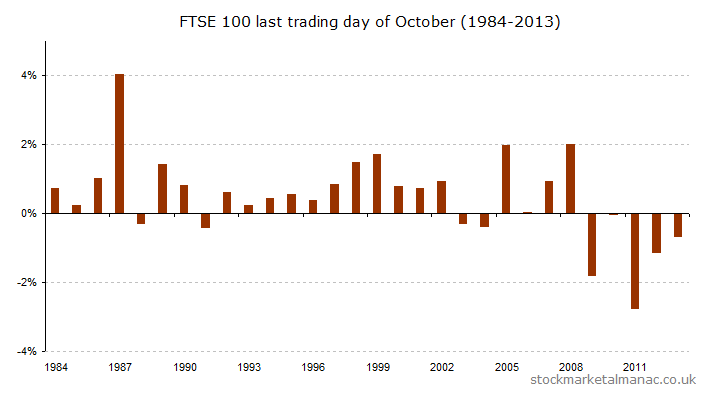 For the 19 years from 1984 the market only fell twice on the October LTD; but in the 11 years since 2003 the market has only risen significantly on this day in three years.